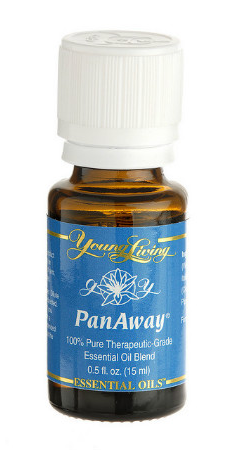 One of the most popular blends Young Living has to offer, PanAway reduces pain an inflammation. It can also increase circulation and accelerate healing. The mix of wintergreen, helichrysum, clove, and peppermint make for a very fresh, clean scent that immediately calms the body. PanAway can be applied directly to the temples, back of neck, or forehead for decreasing headaches. Applied directly to the spine can help alleviate discomfort within the spine. It can also help alleviate deep muscle pain, at least until you come in for a massage. Because of the amount of menthol and the intensity of this oil blend, there is a risk of skin sensitivity. If you find that there is a skin sensitivity, please dilute it with a carrier oil, such as olive oil, apricot oil, almond oil, or jojoba oil.